Precision forged from high carbon steel. Heat treated dome-shaped striking point and chamfered edged striking face. Non hardened head sides suitable for striking wooden posts. Shock absorbing TPE grip handle with lanyard hole at the end. 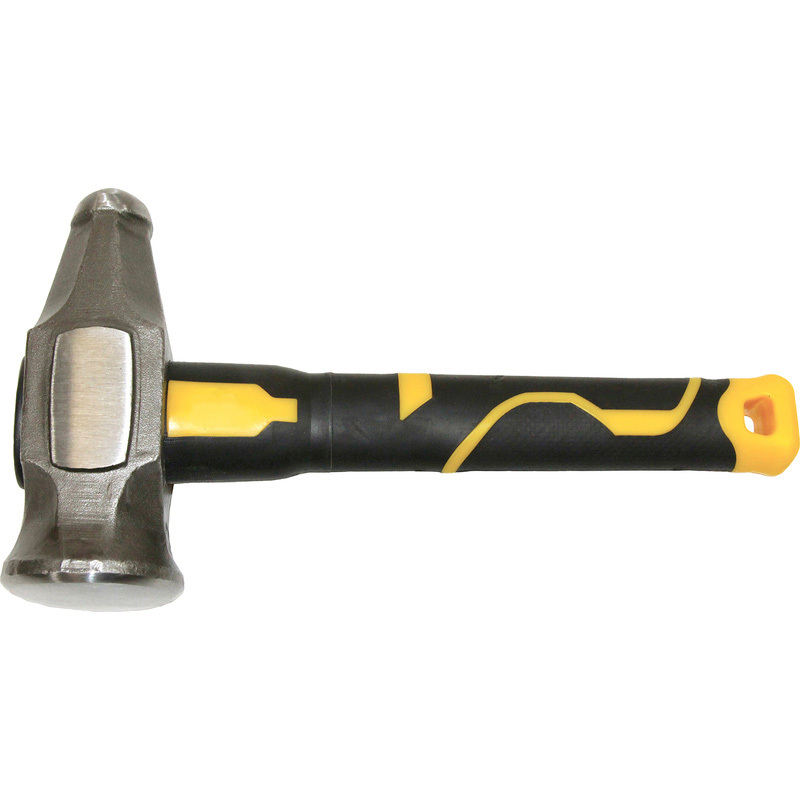 Roughneck Gorilla Club Hammer 4lb is rated 5.0 out of 5 by 4. Rated 5 out of 5 by Doneitagain from Thumping good Bought to help with demolishing parts of my house before builders put extension up. Excellent weight and balance, and both ends of head effective for different bits, not tried side pads though. Rated 5 out of 5 by Stewg from Best Hammer Ever Wow, I’ve used this hammer all week knocking old mortar out of a large flagged driveway (mine) it is so much better to use than a standard lump hammer, great weight & very ergonomic, absolutely no wrist strain what do ever even after hours of chiselling, I will certainly be buying the rest of these shaped hammers as these type of hammers are so much easier to use, & the price is not too expensive, I won’t be going back to my old standard shape of lump hammer after using one of these, Recommend 100%.